The 4g overhead stick welding test is often given along with the 3g vertical plate test. 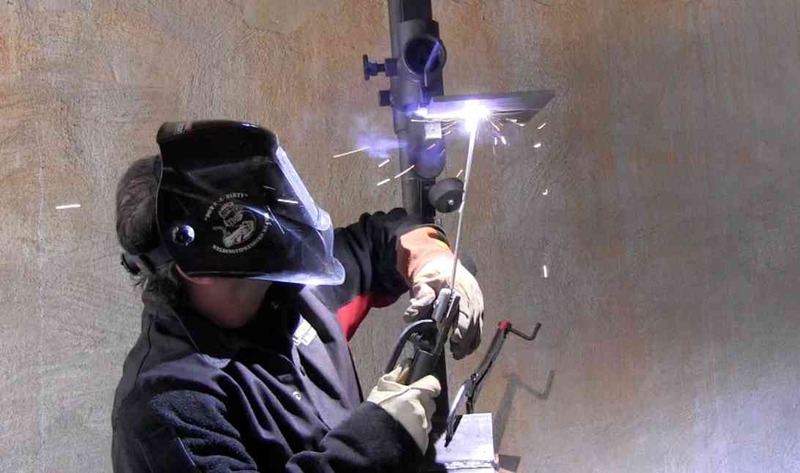 Certain welding codes provide for an all position qualification by taking them together. AWS D1.1 for example allows for a welder who passes both 3g and 4g plate tests to be qualified for all plate positions. So this video is on welding the 4g overhead portion. if you have not seen the 3g vertical welding test video yet, just click here. make sure you are not stepping on your lead. keep rod movement to a minimum. Even though its important to use enough amperage, (120-130) using too much amperage can cause arc blow. You will notice in the video, that I have a clamp on the end of the plate. that was an experiment to see if it would help prevent arc blow. I clamped the ground clamp to that clamp hoping it would break up any magnetic fields and it actually seemed to work. 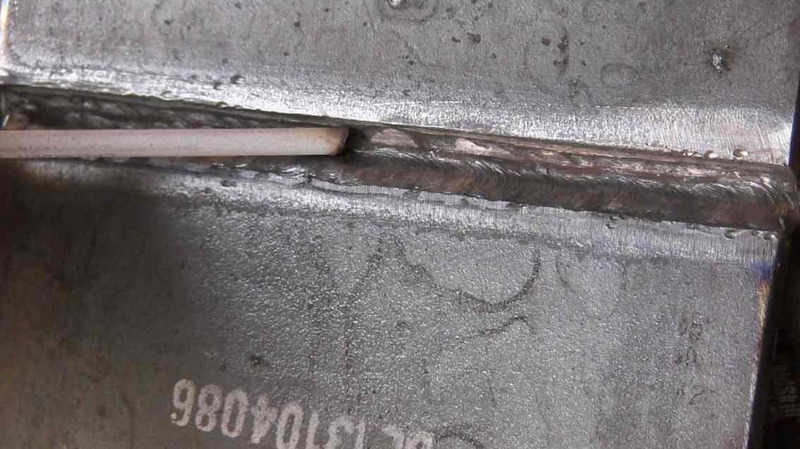 The first root pass I welded was at 135 amps and that was a bit hot and I did experience quite a bit of arc blow on the last few inches of rod. so That is why I settled on 120-125 amps. 120 amps was just about hot enough, and I didnt fight with arc blow like I did at 135 amps. Even though this video is mainly intended to provide tips for passing an overhead welding test, the same tips apply to welding overhead on almost anything. So whether you are crawling up under a trailer to weld a bracket or a hitch, or taking a welding test, set the amperage hot enough to where you can hold a tight arc without the rod sticking…. ...and then hold a tight arc. That is the best advise I can give. always plan one bead ahead. leave yourself plenty of room to get that next bead in there.